Click on the pictures inside the carousel to get an overview of each volume. Warning: we sticked on the French publications, but in England the publication is different, each volume containing 2 French ones. Born in Meaux in 1969, Olivier Ledroit studied applied art for 2 years and start working as an illustrator for role-game magazines. In 1989 he meets Fran�ois Froideval, and together they create the series Black Moon Chronicles. The comic book quickly had a great success and is now considered as a reference in Heroic Fantasy's comic books. After drawing the 5 first volumes, Ledroit quits the series for a new one: Xoco, written by Thomas Mosdi. Released in 1994, Xoco is considered by many as a reference for its amazing detailed graphics picturing New York in the 30s. Ledroit drew the first cycle (2 volumes). Between 1996 and 1999 Olivier Ledroit collaborates with Pat Mills on Sha, a series about reincarnation and revenge in a futurist univers. In the meantime, Ledroit starts working on a new project of his own: La Porte Ecarlate. For this series he adopted a faster drawing style (less detailed). 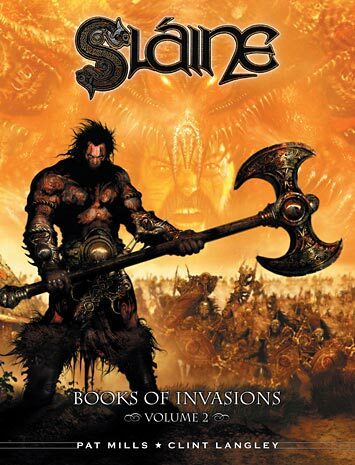 The first and only volume was released in 1998 by the French publishing house Soleil, which was also publishing Sha. Both of the series didn't have enough commercial success. On Sha, the authors were asked to conclude the series earlier than planned (on the 3rd volume), whereas for La Porte Ecarlate it was decided to simply stop the series. After Requiem Vampire Knight's success, Olivier Ledroit released a first Artbook in November 2007 about his art work on all the previous series as well as Volumes 1 and 2 of L'Univers F�erique d'Olivier Ledroit, books of illustrations about faeries published by Editions Daniel Maghen. He did several illustrations of dragons for a collective book by the same publisher. 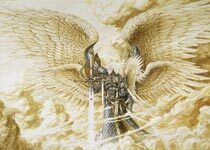 He also drew illustrations for the video-game Heroes of Might and Magic, published by Ubisoft. Pat Mills has been writing comics for almost 40 years now. Born in March 7Th 1949, he began his career in the early seventies as an editor and writer for DC Thomson and soon IPC, working on girl's and humour comics. Then, Mills was asked to develop for IPC, war-themed weekly magazine such as Battle Picture Weekly in 1975 (with newly met John Wagner with whom he will later co-create Judge Dredd), and Action Weekly in 1976. 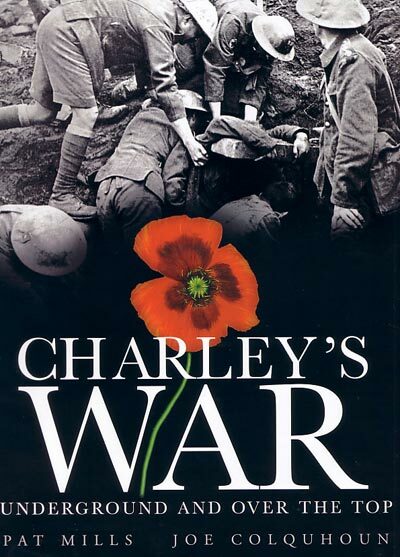 As a writer, his most prominent work at that time was Charley's War, a First World War strip for Battle, drawn by Joe Colquoun. Despite IPC's repeated demands to have a more patriotic and less realistic story, Pat Mills succeeded in depicting real war heroes, in a well documented environment. The strip is still celebrated nowadays for its accuracy, and is currently being published in deluxe format by Titan Books. 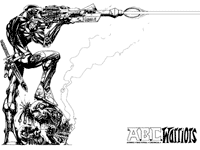 In 1977, he was asked again to develop a sci fi magazine, 2000 AD, establishing most of the early series and characters before handing them over to the writers (including Judge Dredd, M.A.C.H. 1 and Invasion!). 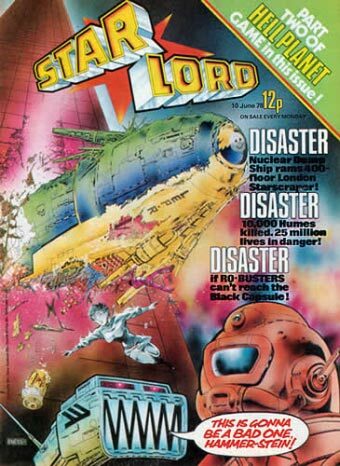 In 1978, he developed the short-lived magazine Starlord where he created The Ro-Busters, a robot disaster squad surfing on the Thunderbirds success (a puppet tv show). Soon, he went back to being a freelance writer again, and had the opportunity to develop his own series (Nemesis The Warlock, or Sla�ne, co-created by his former wife Angie Kincaid) and universe. 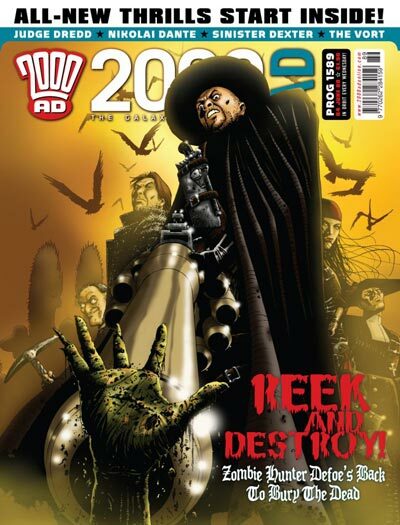 For example, he brought back The Ro-Busters to 2000 AD, and soon they became The A.B.C. Warriors, a bunch of robots knights, which had interrelated adventures with Nemesis and the world of Judge Dredd. For these series, he is more and more associated with a young artist, Kevin O'Neill, who made his drawing debuts under Pat's wing. 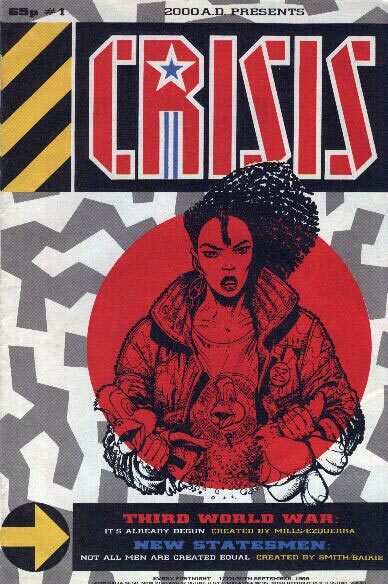 In 1988, he was involved in the creation of a politically engaged magazine called Crisis, where he scripted the Third World War universe, another mini universe, related to other series like Finn or Terrarists for Epic Comics. After a first attempt in the American comics market with Metalzoic in1986, Pat Mills and Kevin O'Neill gained certain fame in 1987 with their most famous antihero to date, Marshal Law (10 stories from 1987 to 2000, and an omnibus to come in 2010 at Top Shelf). 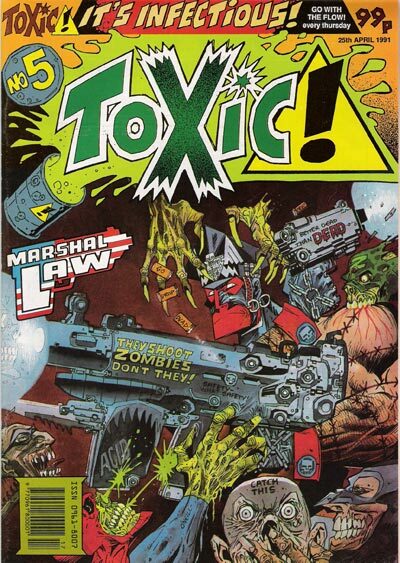 Marshal Law had sufficient popularity to attract an English editor, Apocalypse Limited, who launched a new magazine, Toxic!, for the prepublishing of its forthcoming stories. Mills was chief editor of Toxic! and during its short life, has the opportunity to develop numerous new characters (the most appealing being Accident Man, a killer for hire who's specialized in faking his own victims death as accidents). The following decade, besides his continuing writings for 2000 AD or Marshal Law, he associated his name with beginner writer Tony Skinner for some Marvel Comics alimentary works (Ravage and Punisher 2099). 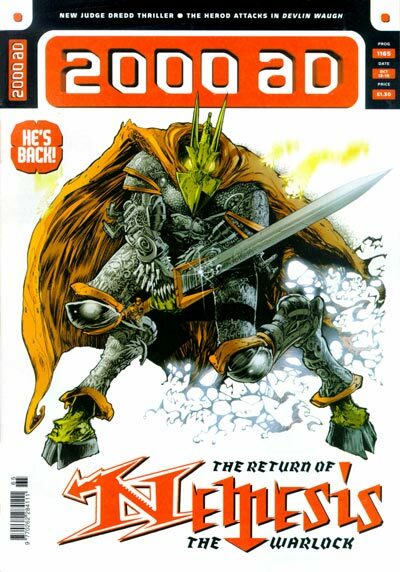 But for a long time now, the attention of Pat Mills was driven towards the comic's French market, where comic are considered for a much more noble art than in USA or UK, and considering that it would give him the opportunity to be free of any kind of editorial interference. His first tryout, apart various translations of his previous works, was Shadowslayer drawn by the regretted French artist Eric Larnoy. But he made his real debut with Sha, a three part story drawing by Olivier Ledroit, allowing Mills to work out again his feelings towards religion, and his knowledge of sorcery and reincarnation. 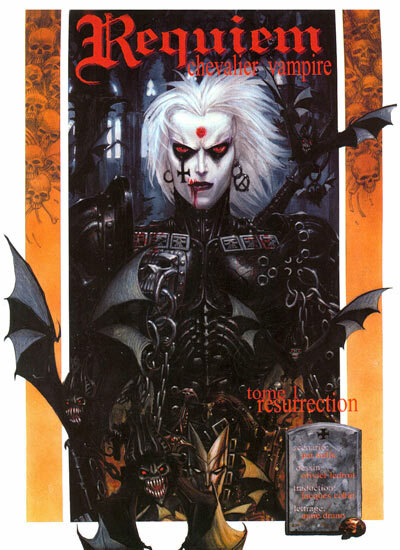 But his biggest success to date on the French market (2000), is Requiem, Vampire Knight (published in English language by Panini in UK and Heavy Metal in the USA), also drawn by Olivier Ledroit. A spin-off, Claudia with artist Franck Tacito, has followed, as well as other projects for the same French publisher (Nickel Editions). He currently continues to write Sl�ine (with Clint Langley), Savage, and A.B.C. 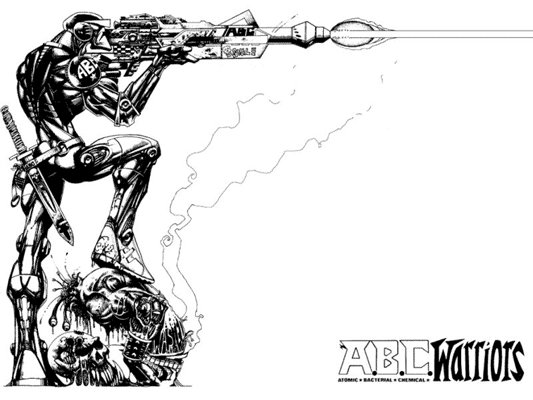 Warriors for 2000 AD, as well as Greysuit and Defoe, a 17th century zombie hunter drawn by Leigh Gallagher. Outside the comic industry, his works included children books (The Butterfly Children with his former wife), Doctor Who audio plays and some role playing games. He has formed Repeat Offenders with artist Clint Langley and Jeremy Davis "to develop graphic novel concepts with big-screen potential" that could be turned into filming screenplays. Most of Mills creations have in common a baroque universe, with explicit violence and sexuality. His themes usually turn around some of his main obsessions: religion through its most extreme faults, the perennial existence of the soul through the ages, and what really defines a true hero. So it's not astonishing to find various incarnation of Torquemada, the great inquisitor, in numerous stories (Nemesis, Sha, The Reedemer) or characters that reincarnates or resurrects through history. In this respect, Requiem, Vampire Knight is sort of a summary of Pat Mills career, as well as an highlight.